A package of 10 pcs. costs 307 USD. NanoWorld Pointprobe® NCL probes are designed for non-contact or tapping™ mode imaging and offer an alternative to our high frequency non-contact type NCH. The NCL type is recommended if the feedback loop of the microscope does not accept high frequencies or if the detection system needs a minimum cantilever length (> 125 µm). 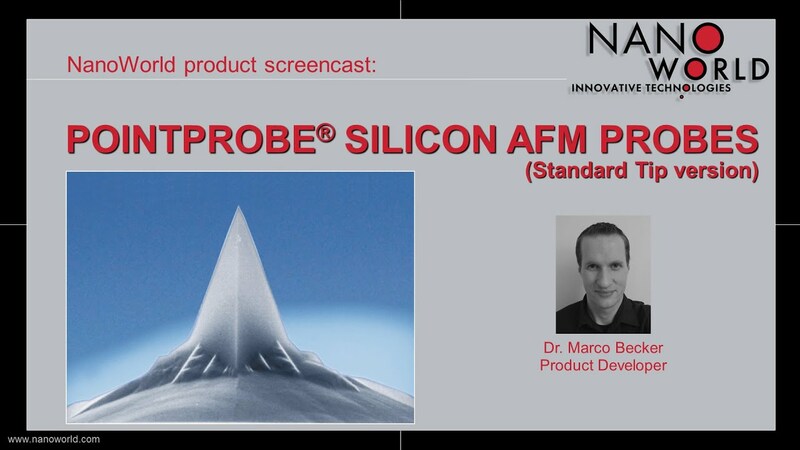 This probe combines high operation stability with outstanding sensitivity. Compared to the high frequency non-contact type NCH the maximum scanning speed is slightly reduced. For applications allowing higher resonance frequencies or a shorter cantilever length use NanoWorld Pointprobe type NCHR.